From the I-210 Freeway, take the Angeles Crest Highway (CA-2) exit and proceed North. It is approximately 14 miles to Mt. Wilson Rd at Red Box. Turn right at Mt. Wilson Rd, travel another 5 miles up to the Start/Finish line at the peak. Take the 118 Freeway East, transition to the I-210 freeway East. Exit at Angeles Crest Highway (CA-2) and proceed North. It is approximately 14 miles to Mt. Wilson Rd at Red Box. Turn right at Mt. Wilson Rd, travel another 5 miles up to the Start/Finish line at the peak. 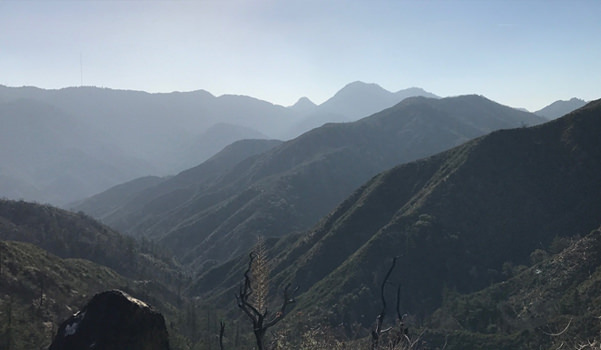 Take the Angeles Forest Highway (N3) south to the Angeles Crest Highway (CA-2) at Clear Creek. Turn left towards Wrightwood and proceed to Mt. Wilson Rd at Red Box. Turn right at Mt. Wilson Rd, travel another 5 miles up to the Start/Finish line at the peak. You will be traveling on twisting mountain roads, please allow a minimum of 45 minutes from the 210 Freeway to the Start/Finish, and 90 minutes from CA-14 in Palmdale to the peak. Angeles Crest Highway is currently closed between Wrightwood and Red Box. There are no gas stations between La Canada/Flintridge and Mt. Wilson, check your fuel status before you head up Angeles Crest Highway. If you want to use Google Maps to plan your trip, type "Mt. Wilson, CA" in the City/State box of your destination. This will take you directly to the Start/Finish area. For possible overnight camping at the Start/Finish area, contact the Race Director.